You have a great jacket, now finish the outfit with an equally great pant. The Jupa Galina Girl's Insulated Ski Pant has great ski style and vivid colors that coordinate perfectly with her Jupa jacket. Insulated with 80g of synthetic insulation, this ski jacket is ideal for the coldest winter conditions. And if those conditions include snow, she'll stay nice and dry thanks to the 10k waterproof rating and critical seam sealing. Suspenders help keep the Galina in place for more comfortable wear, but should she prefer, they can be removed. Best of all, the Galina has an extendable cuff, so she can enjoy this technical pant again next season. "Do the boys and girls Jupa snowpants have the same measurements? Would a size 12 in boys or girls be the same in length and waist? Do they have more tapered legs in the girls pants?" "The boys and girls Jupa will fit the same way. The measurements provided by Jupa are universal for fit. Once you get into Juniors and Adult sizing the fit will be different. " "Is the size 8 for 7-8 years old girl or is more bigger than that age "
"As a general sizing guide the size 8 would be a starting point fit wise for a 7-8 year old. In order to get the most accurate fit we would recommend taking a few basic measurements and using the size chart provided. " 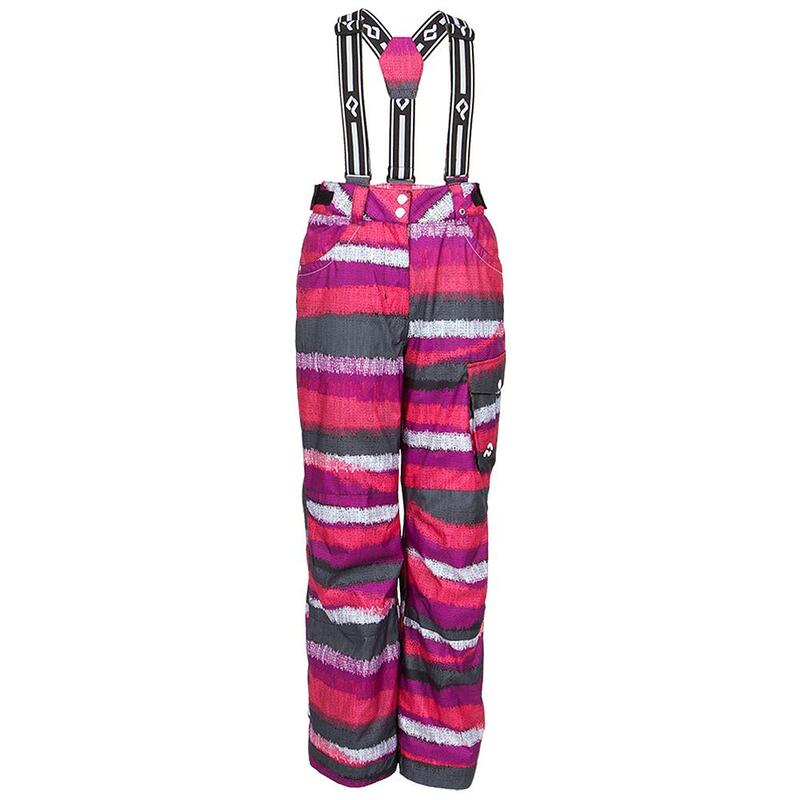 Bought these Jupa ski pants for my super petite 11 year old. it's hard to find ski pants that stay up...she's uber skinny. These were perfect and performed brilliantly through 10 days of skiing last week. Great quality! My daughter is a 5'5'' 15 year old who usually wears a size 3-5 junior but the women's snow pants were too bulky on her. These ski pants are perfect for her. She skied in them in 15 degrees and with long underwear was totally warm and they kept her legs completely dry. So glad we found these!